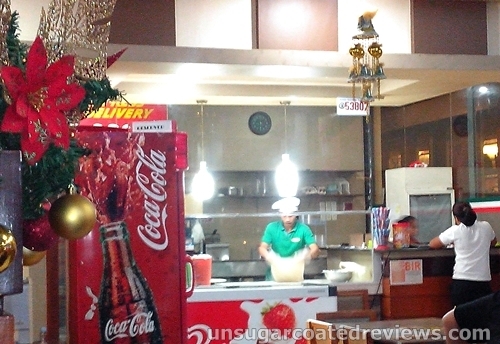 Mamma Maria's Pizzeria is one of the restaurants on the ground floor of the Courtview Inn building, along Quimpo Blvd. in Davao City. This pizza place serves pasta and more than 20 kinds of pizza. The pizzas come in five sizes: single (8"), regular (11", good for 2-3 people), family (15", good for 4-6 people), XL family (21", good for 8-10 people), and XXL party (30", good for 12-14 people). So no matter what your preferred toppings are or how big (or small) your group is, there is something here for you. 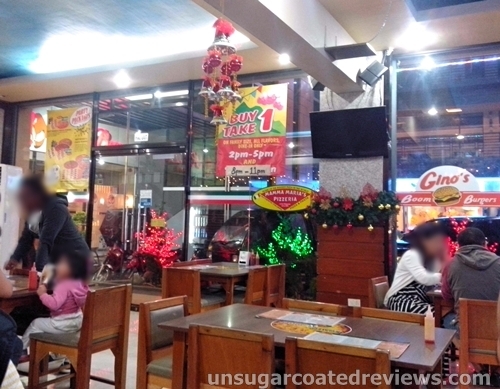 The restaurant also offers a buy 1 take 1 promo on their family pizzas from 2-5pm and 8-11pm. We ordered their Fantastico and Beef Kebab pizzas. 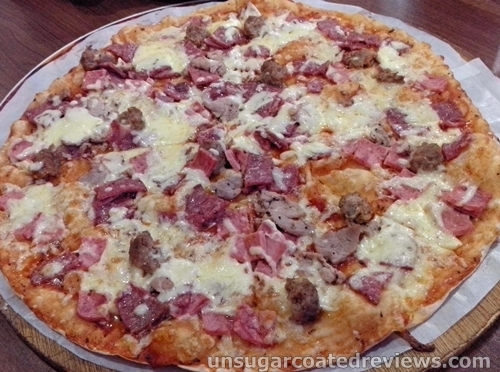 The Fantastico (Meatlovers) pizza includes tomato sauce, mozzarella cheese, meatballs, pork tenderloin, ham, and salami. Meanwhile, the Beef Kebab pizza is topped with tomato sauce, mozzarella cheese, white garlic sauce, beef strips, and spicy pepperoncini. 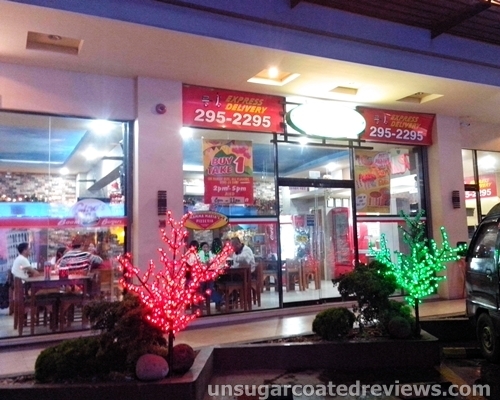 The pizzas are reasonably priced and if you are able to avail of the promo, a good deal. The pizzas come with generous toppings and taste okay. Not rave-worthy but good enough. The crusts are good -- thin and crunchy. The service is smooth and it does not take long for the food to arrive. The place is well-lit, clean, and orderly. I really miss the pizza in this place. Best pizza ever me and my wife ever tasted. The crust is not to thin nor too thick. Topings have a lot of choices.Price is reasonable. If we were to go back here, this will be our first stop. 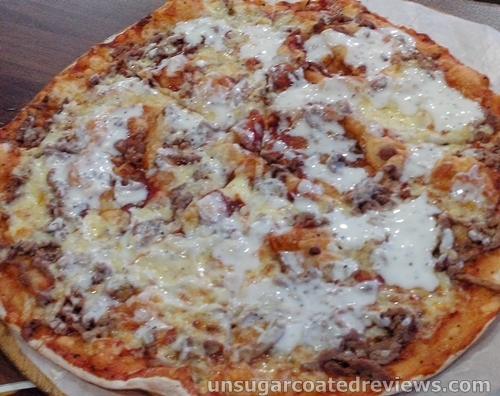 I am looking for branch of this pizza here in Manila but I have found nothing. Hopefully they will have atleast one branch.